In a press release issued by the US Department of Justice we have learned that three Internet poker companies and their owners are being charged with bank fraud, money laundering, and illegal gambling offenses. 1. The three Internet poker companies are PokerStars, Full Tilt Poker, and Absolute poker. It seems Absolute Poker is the central site in the Cereus Network as the press release states that 3 companies were involved, but five domain names were seized –which would seem to point to UB Poker and Victory Poker being the other two. UB Poker is definitely one, but I am conjecturing on Victory Poker. 2. Even more problematic may be the listed owners of Absolute Poker, most notably Scott Tom who has been tied to that site’s Super-User scandal, and we have been told that he no longer has any involvement in the site –which seems to not be the case based on the DOJ indictment list found at the bottom of the press release. This entry was posted on Friday, April 15th, 2011 at 3:37 pm and is filed under Poker News. You can follow any responses to this entry through the RSS 2.0 feed. You can leave a response, or trackback from your own site. I read the FBI advisory on the poker website. I read the US code sections they cited as justification for their seizure. I have to say the sections do not appear to justify any taking of property under color of law. Section 1955 appears to identify an illegal gambling business as an enterprise with five or more individuals operating within a state which has criminalized such activities. These enterprises are offshore. I do not believe these enterprises qualify as illegal gambing business under Section 1955. The posting cites Section 981 as justification for the seizures. 981 cites many sections under which civil seizures are permissable, but Section 1955 is not one of them. I think 32 million Americans have colorable claims under Section 1983 against each individual involved in the seizures. Individuals who deny a person’s property under color of law and violate that person’s constitutional rights without due process of law in violation of the Constitution and Bill of Rights are personally liable to those persons under Section 1983. I interpret that to mean the prosecutors are personally liable to the individuals they stole from. They could lose their homes, their retirement accounts, their vehicles, and their bank accounts. I’m not a Constitutional scholar, but that’s the way I see it. 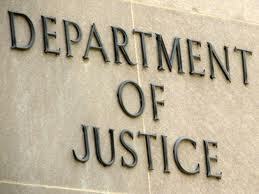 I read the Justice Department’s posting on Full Tilt Poker. Section 1955 does not appear to apply to these offshore enterprises with less than 5 individuals working in any state which prohibits online poker. These do not appear to be illegal gambling businesses under Section 1955. I don’t believe a prosecutor who tries to tie these enterprises to section 1955 is operating in good faith. Section 981, under which the prosecutors try to justify their seizures does not appear to apply to Section 1955. Section 981 legitimizes seizures under many, many cited sections, but 1955 is not one of them. I don’t believe a prosecutor who tries to justify these seizures under section 981 is operating in good faith. So their actions appear to have two fatal flaws which even a first year law student would say is obvious. It appears these prosecutors are knowingly denying people property under color of law in violation of the Constitution’s prohibition of taking property without due process of law. Under section 1983 a person who denies a person their constitutional rights under color of law is personally liable to that person not only for actual damages but for punitive damages. That means they pay out of their own pockets and not the state’s. In my personal opinion 32 million Americans have a right to sue these individuals under Section 1983. I’m not suggesting it. I’m just saying they have the legal right.